There were some interesting responses to my article about what we ought to call the process of creating icons, here. In fact, a lively discussion ensued on Facebook. The more it developed, the more it became clear to me that I will not use “write” when discussing icons; this fact relates to the characteristics of the English language. As Adam Wood pointed out (some may know his name from the Chant Cafe), the person who writes a play is called a “playwright.” That’s “wright”, not write, for someone who crafts a drama. This elevates the status of the playwright from a mere writer. Similarly, someone who is skilled with words can be called a “wordsmith,” although this is perhaps more colloquial. This seems to indicate that in English, it’s actually the inverse of what is being imposed, i.e. “painting” is higher than “writing.” If we wish to elevate the writer’s status, we attribute to his “craft” the status that we give to the work done by an artisan. If we wish to elevate the status of the icon painter, we emphasize his craftsmanship. So in English, painter is fine, and better than “writer,” “iconwright” or “iconsmith” would be if we wanted to affect a bit of faux-intellectualism for good measure. 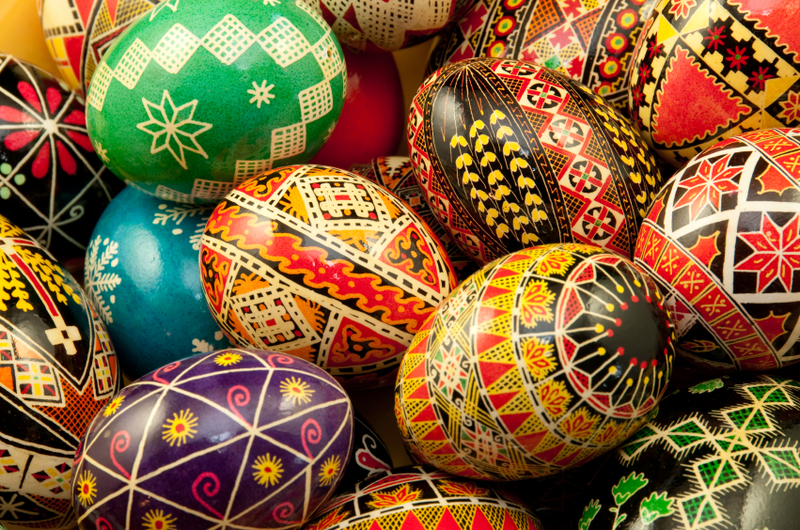 This is the reverse of the Greek, and of the Slavic languages such as Russian and Ukrainian, in which the process of decorating eggshells is also called “writing” too, as a contributor to the discussion on Facebook told us. 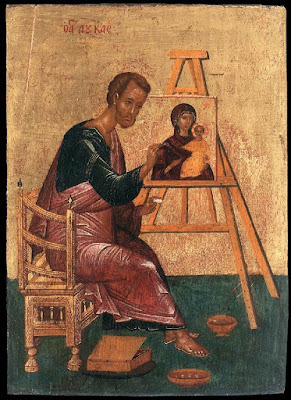 Furthermore, if we refer to the icon painter, in Greek graphos, as a writer, then to be consistent we should also say that the photographer “writes” a photograph, and cartographer “writes” a map! I think it’s easier to stick to plain English. I have trouble enough getting that right without worrying about Greek, Russian and Ukrainian as well! 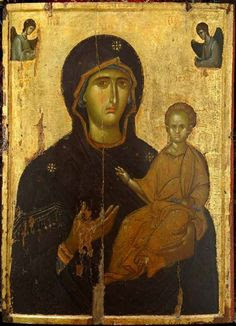 I hope no one is upset by the use of the word “paint” in reference to icons, but as the saying goes, if you want to make an omelette you have to crack a few eggs. (Hopefully, none of these beautifully crafted Ukrainian ones). 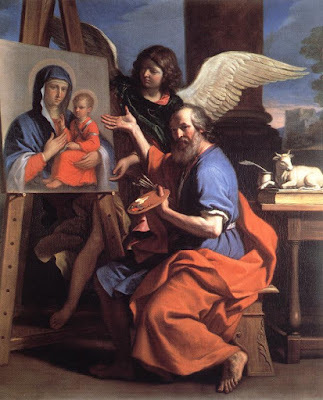 Incidentally, the painting at the top is of St Luke Displaying His Painting of Our Lady by Guercino, the Italian 17th century baroque holy painter/smith/wright. Notice how he is aware of the tradition that St Luke’s painting was a Virgin Hodegetria, one of the standard iconographic prototypes.